Relocation forces sale after more than $100k was spent in the backyard alone! 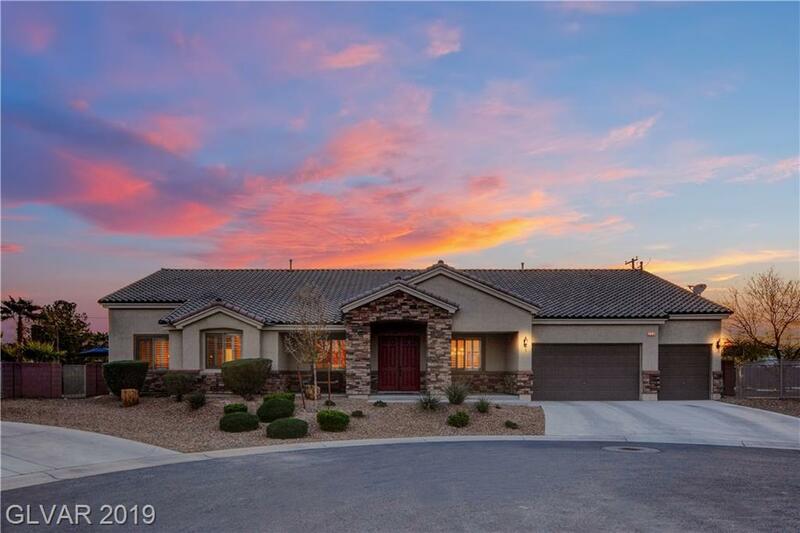 Practically brand new, single story, ranch style home, situated perfectly in a private, gated, cul-de-sac w/ only 8 other estates. Fantastic neighbors, beautifully landscaped 1/2 acre lot w/ RV parking, salt water pool, spa, putting green & walking trail! Don't miss this incredible opportunity. Directions: From The I-15s Take Exit 30 For W Cactus Ave, Left Onto W Cactus Ave, Right Onto S Las Vegas Blvd, Left Onto Erie Ave, Right Onto Gilespie St, Right Onto Ozuna Ct.